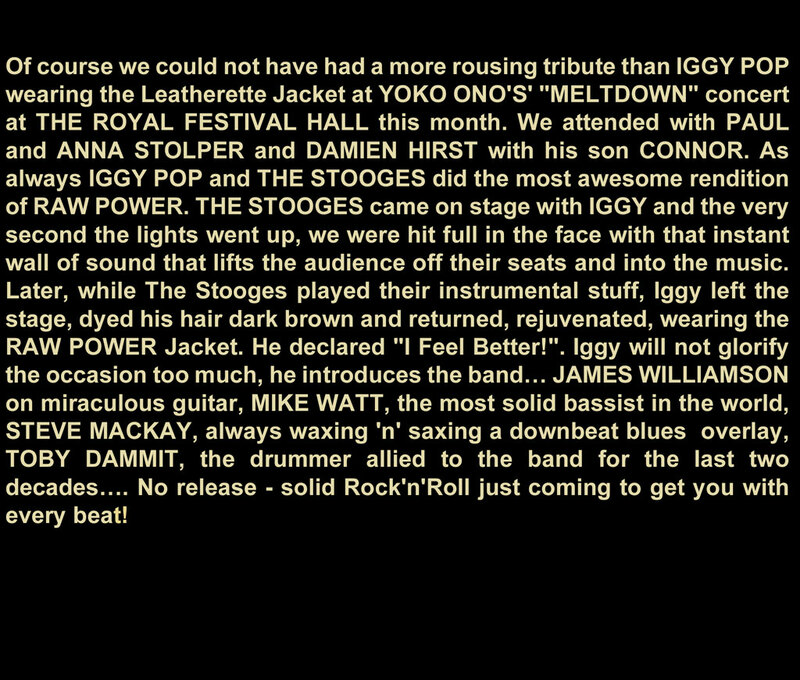 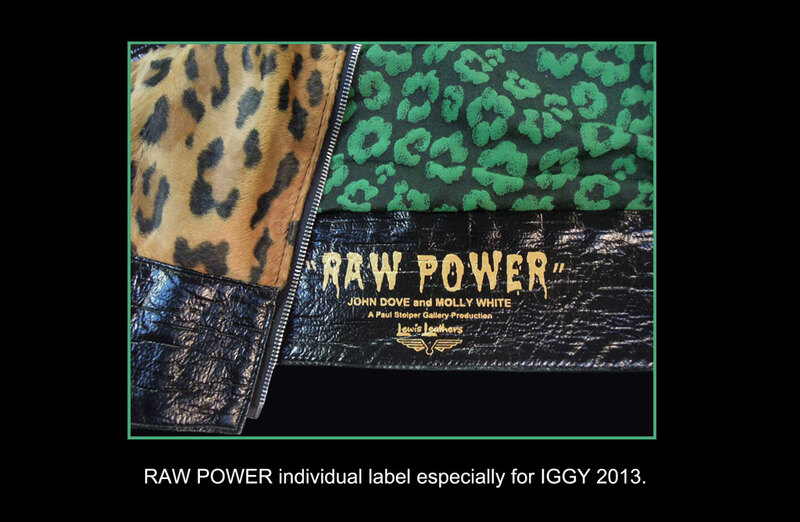 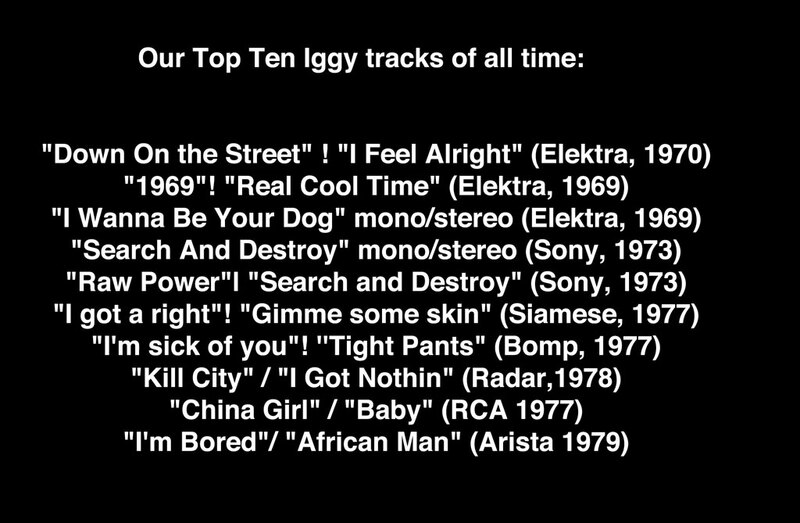 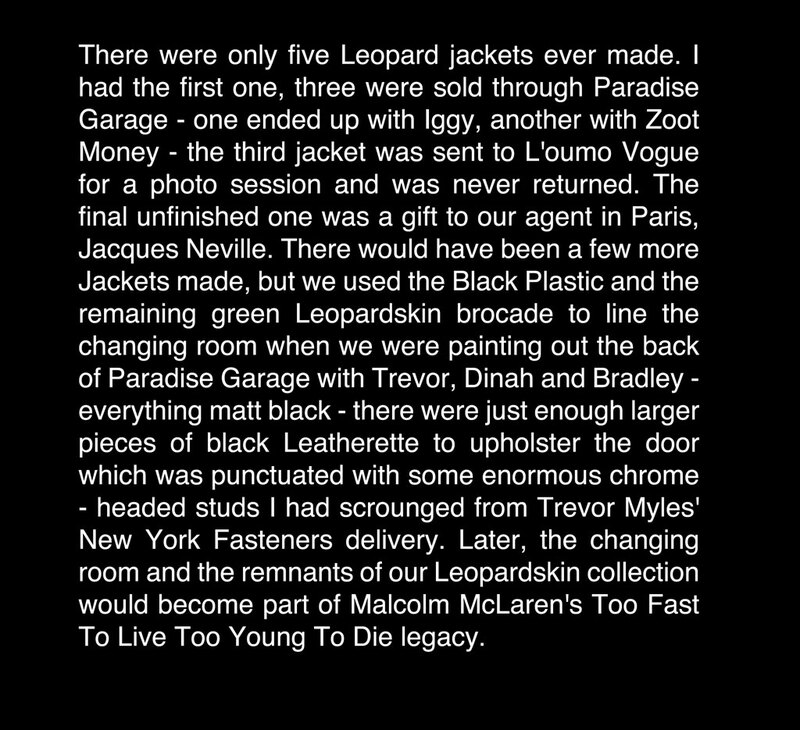 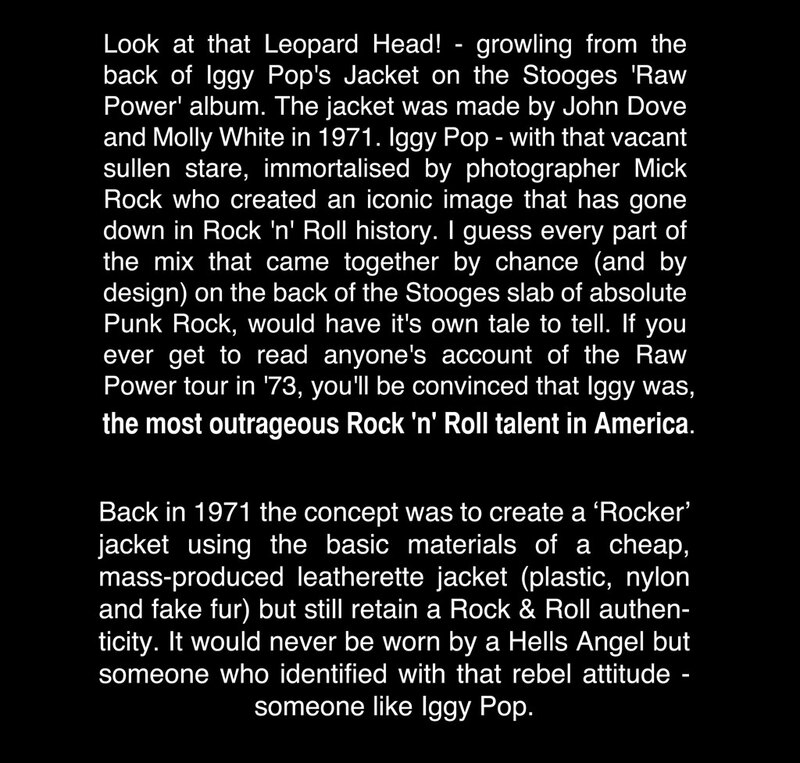 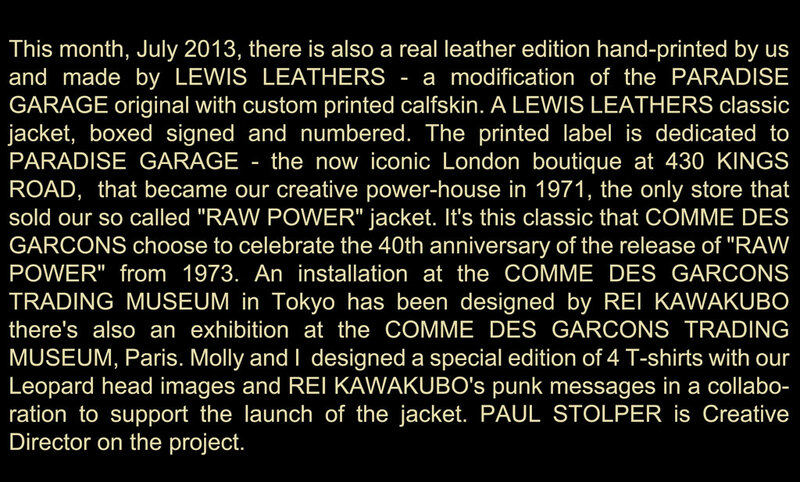 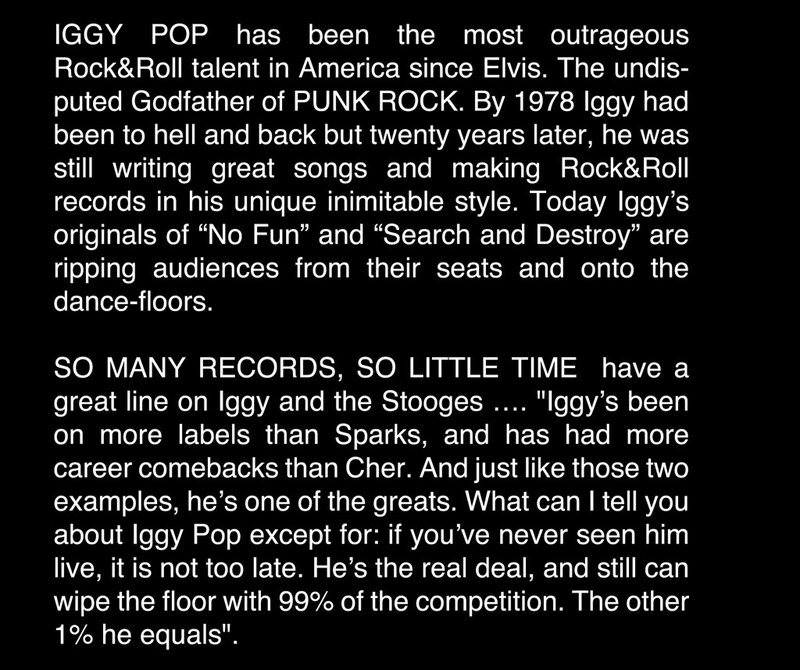 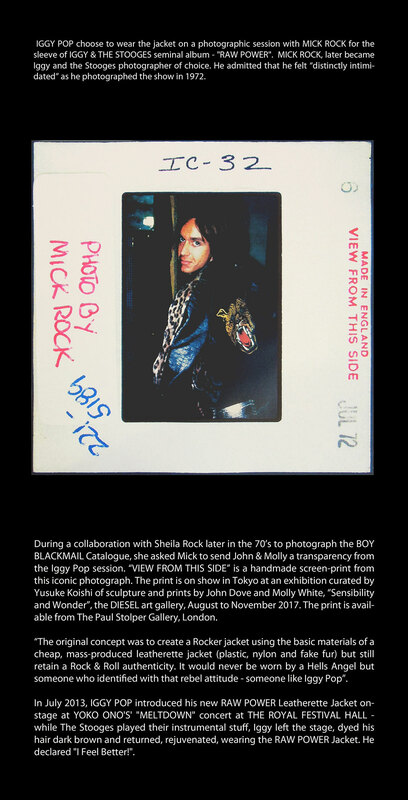 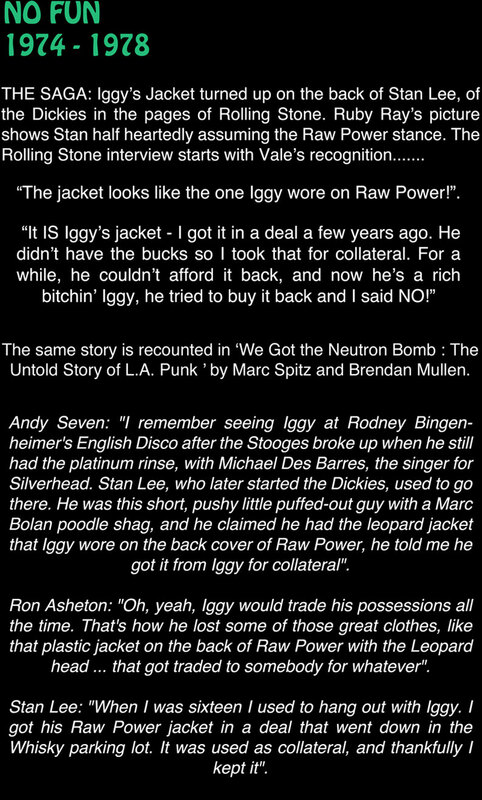 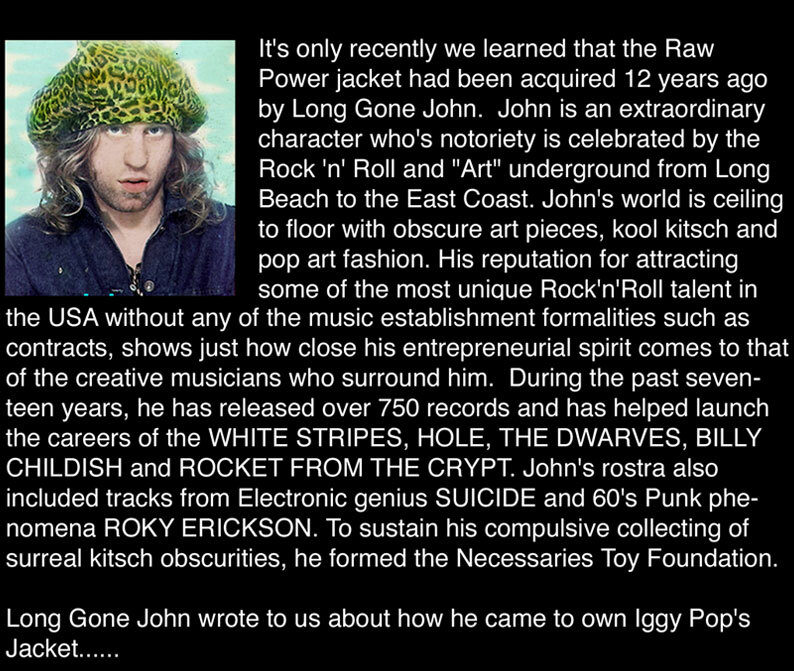 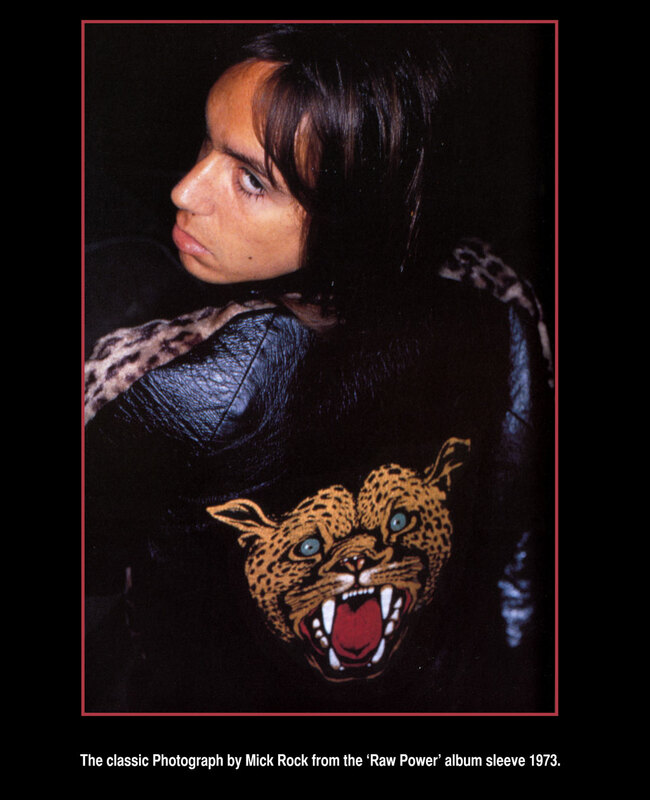 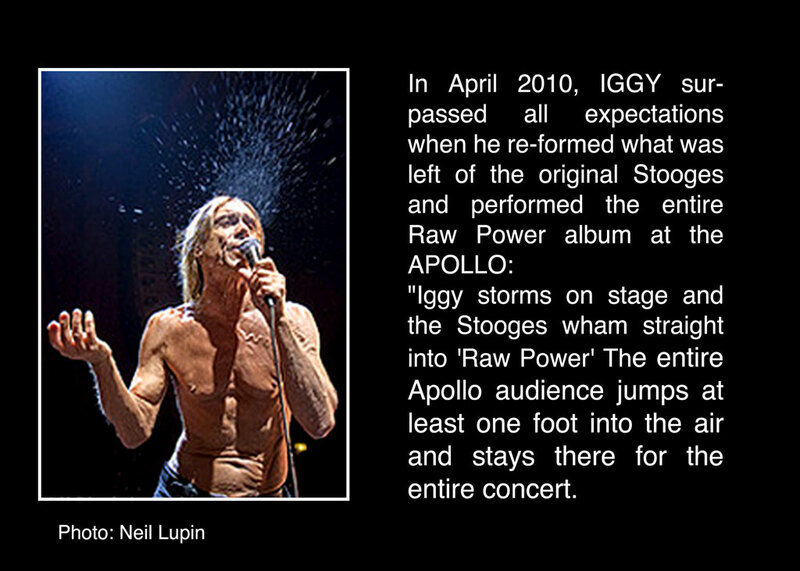 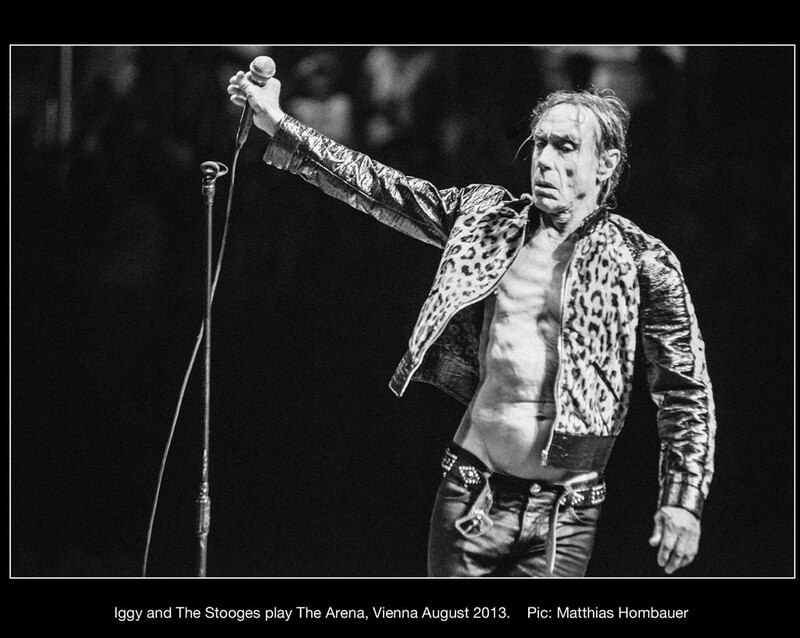 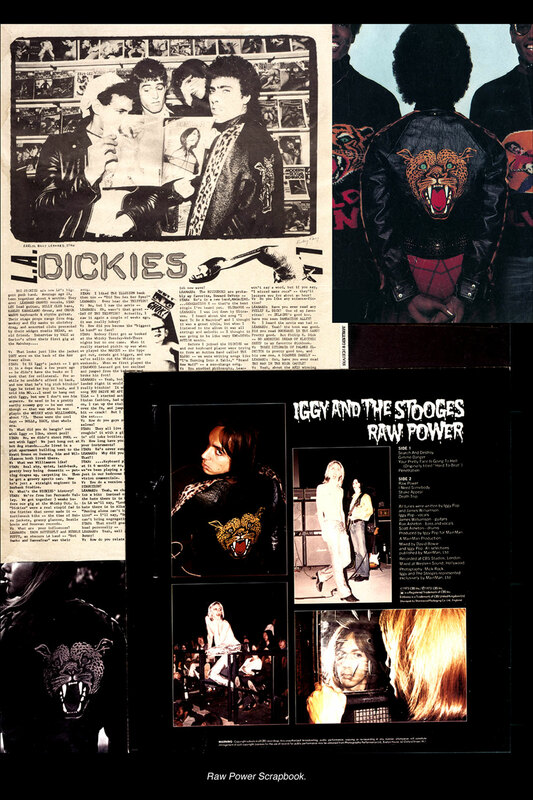 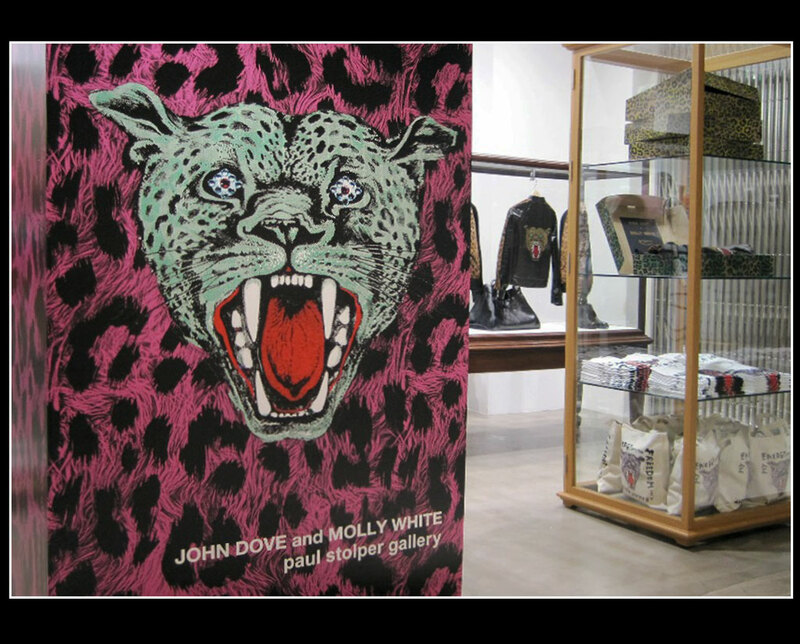 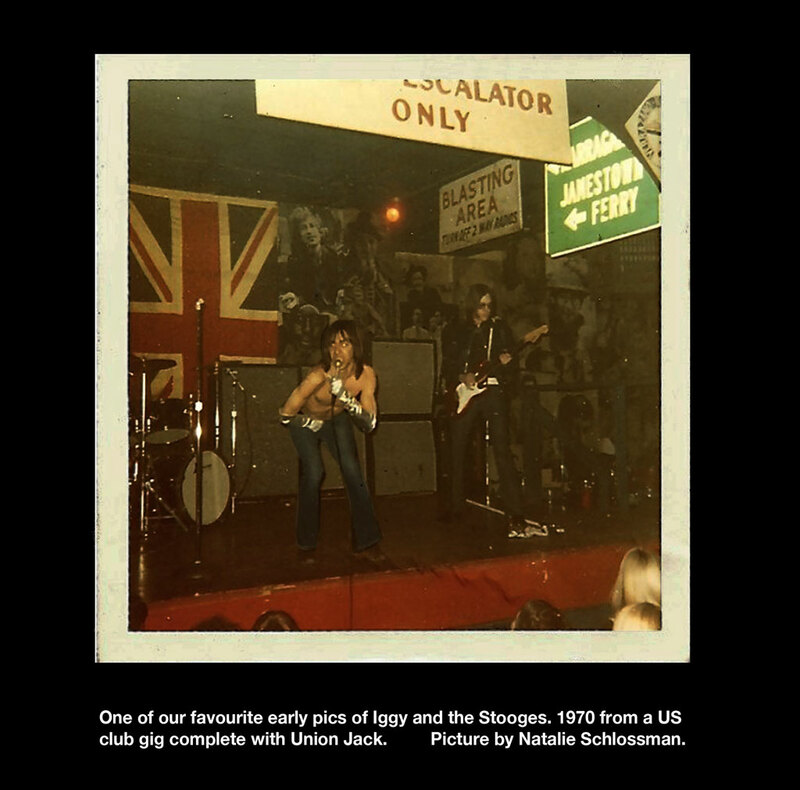 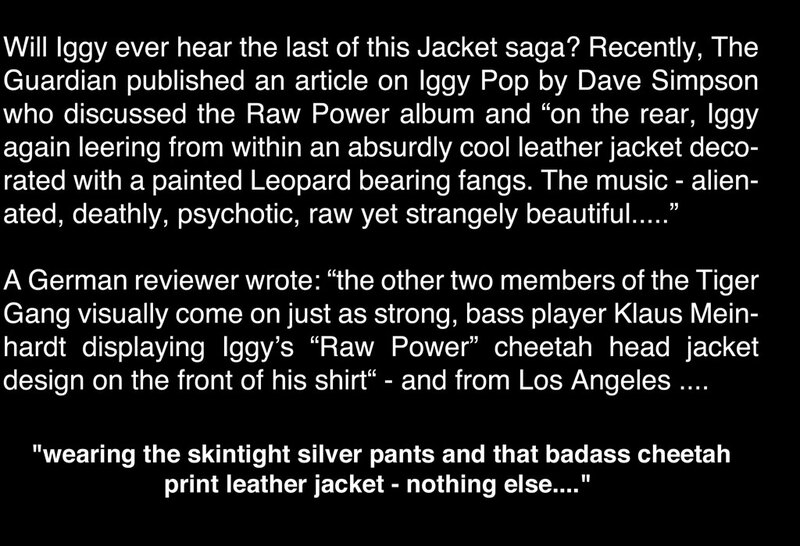 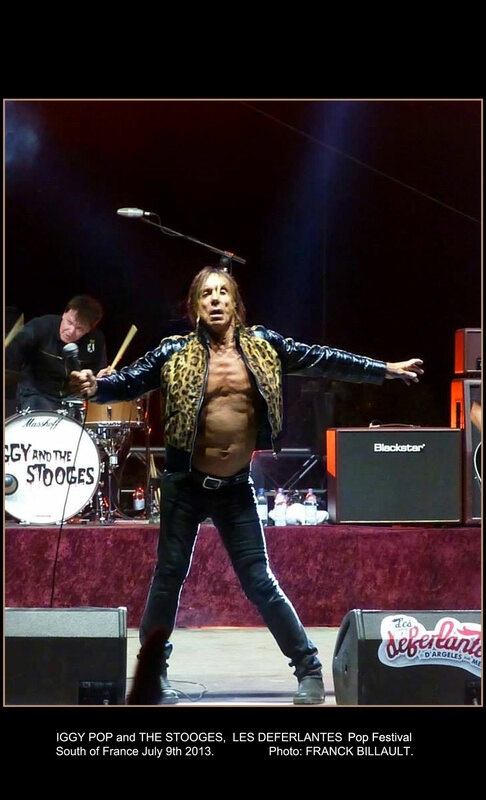 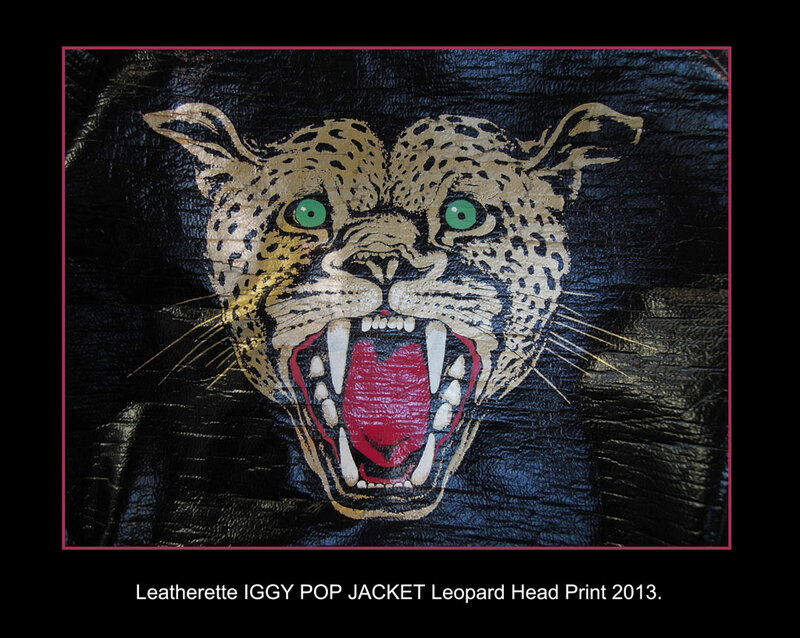 A further real leather edition of the IGGY POP JACKET has been released by LEWIS LEATHERS also hand-printed by John Dove and Molly White - a modification of their PARADISE GARAGE original. 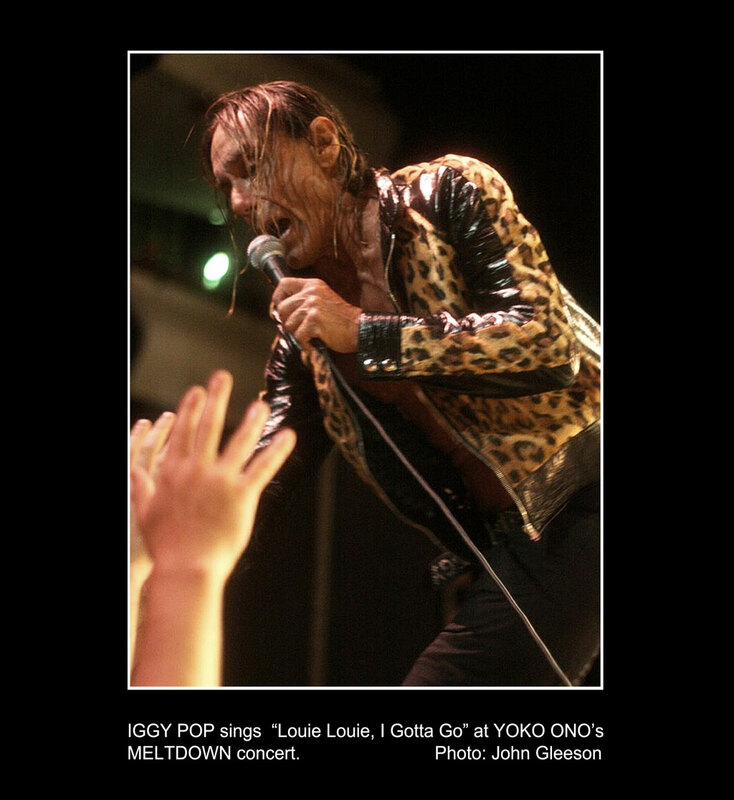 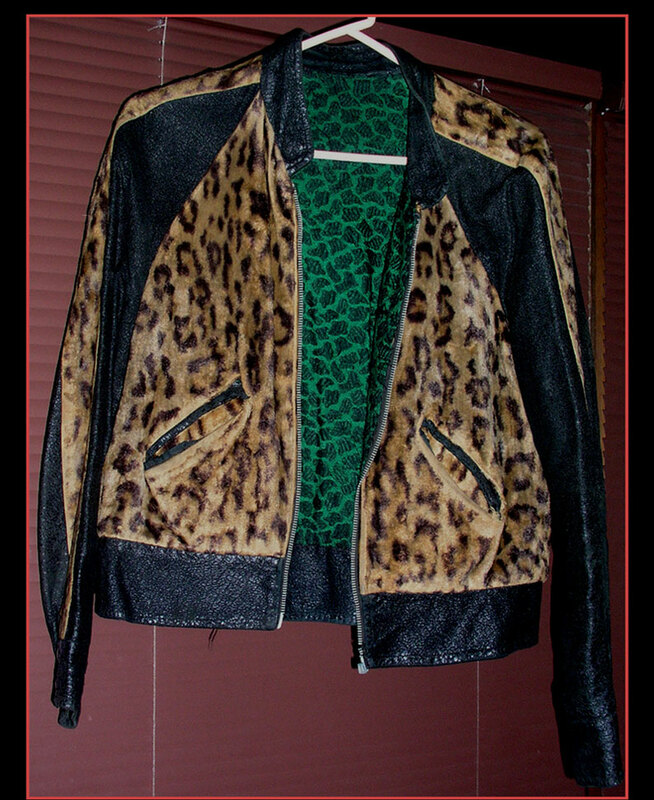 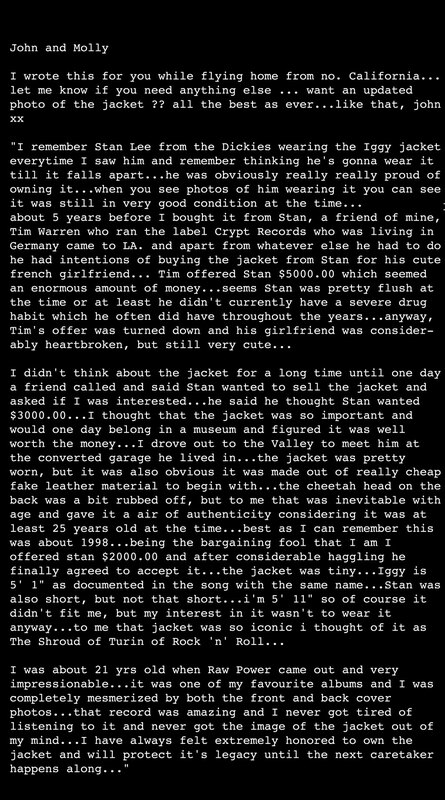 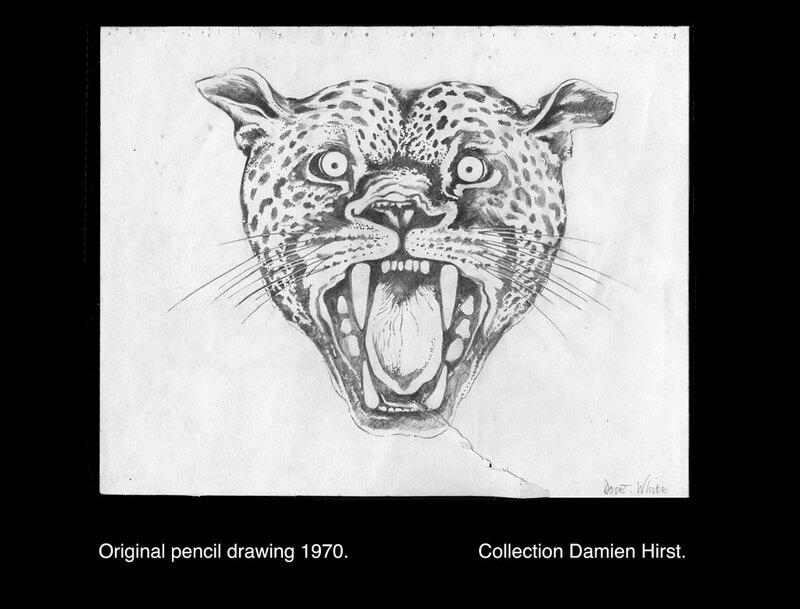 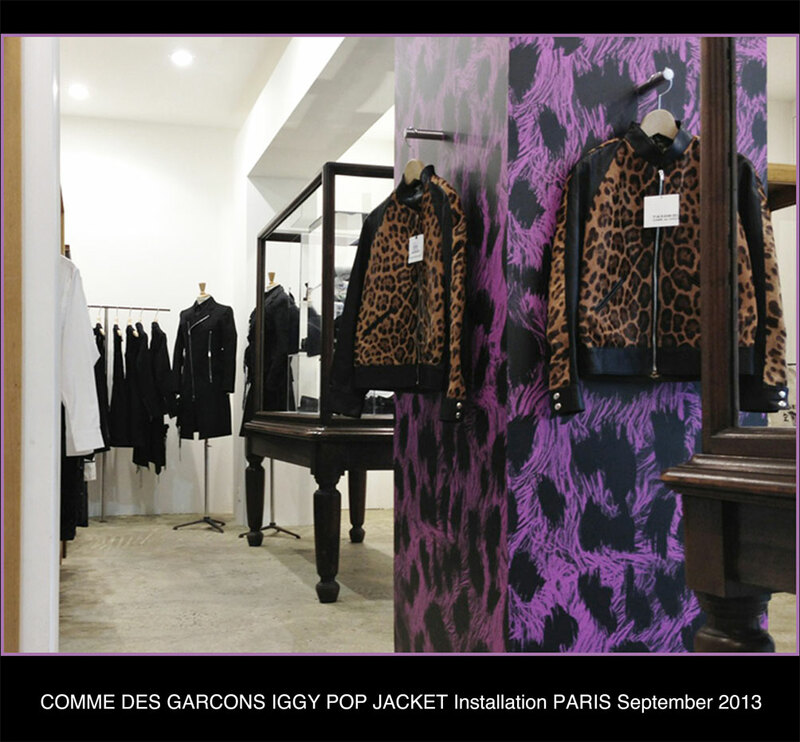 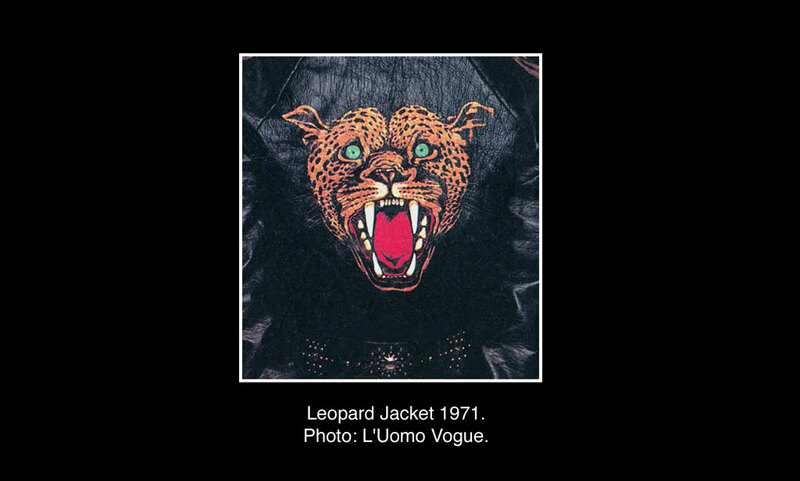 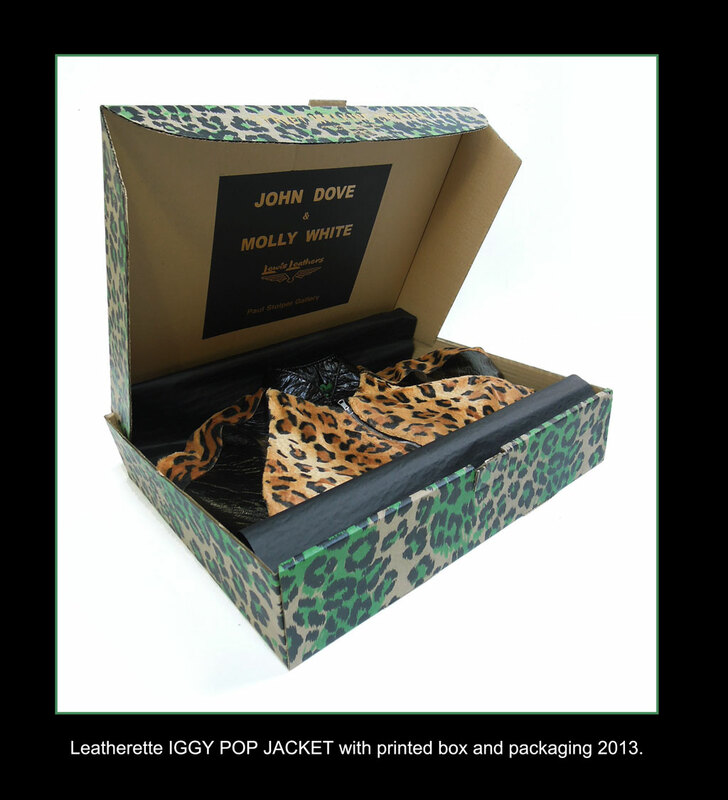 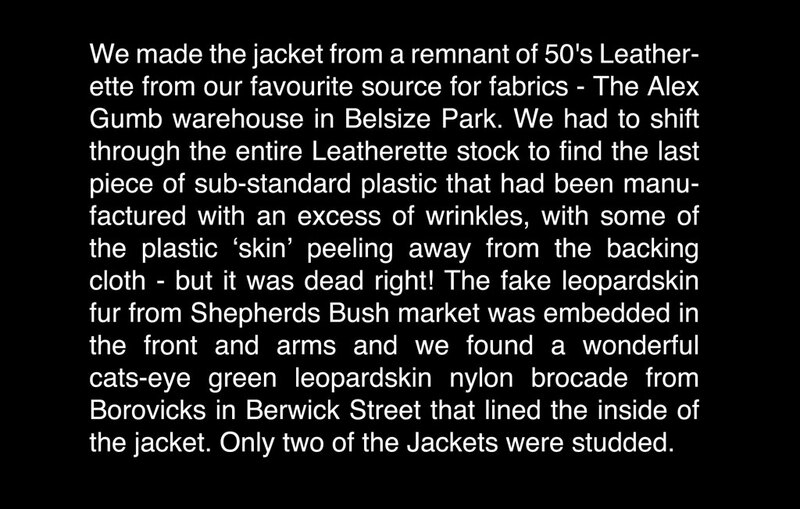 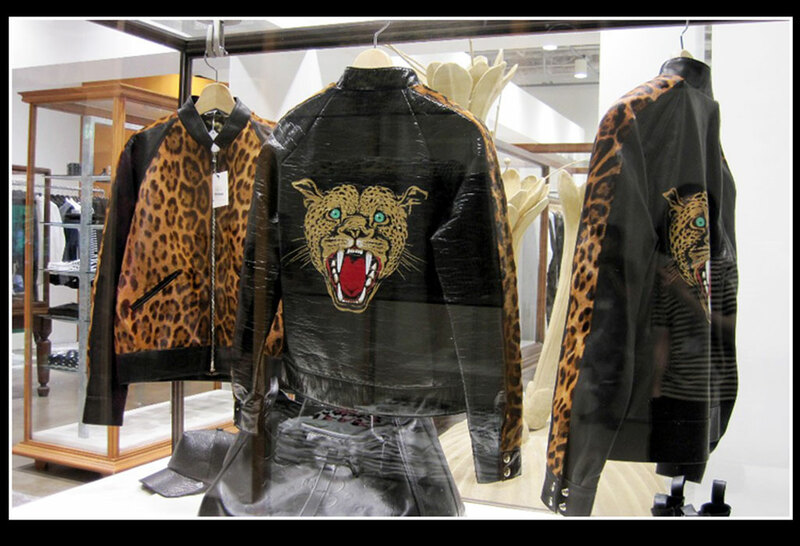 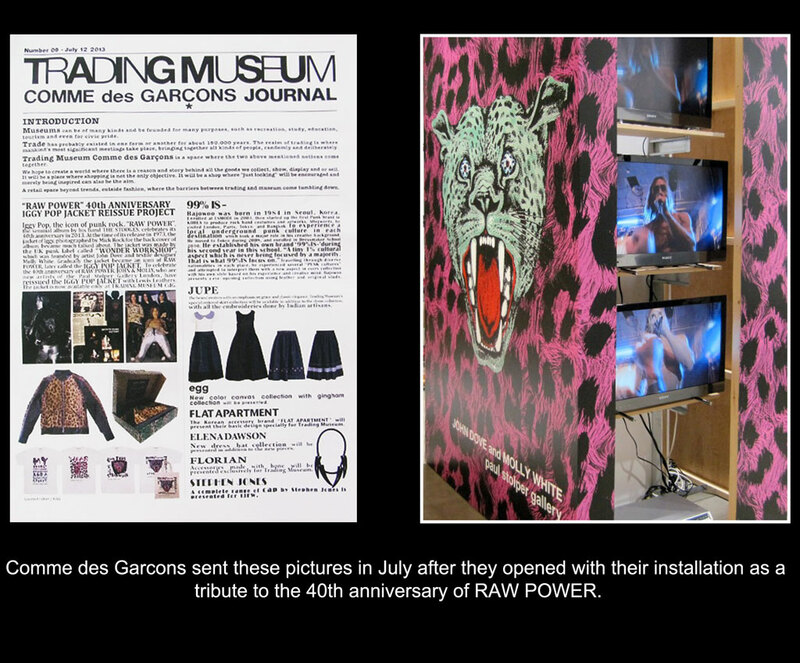 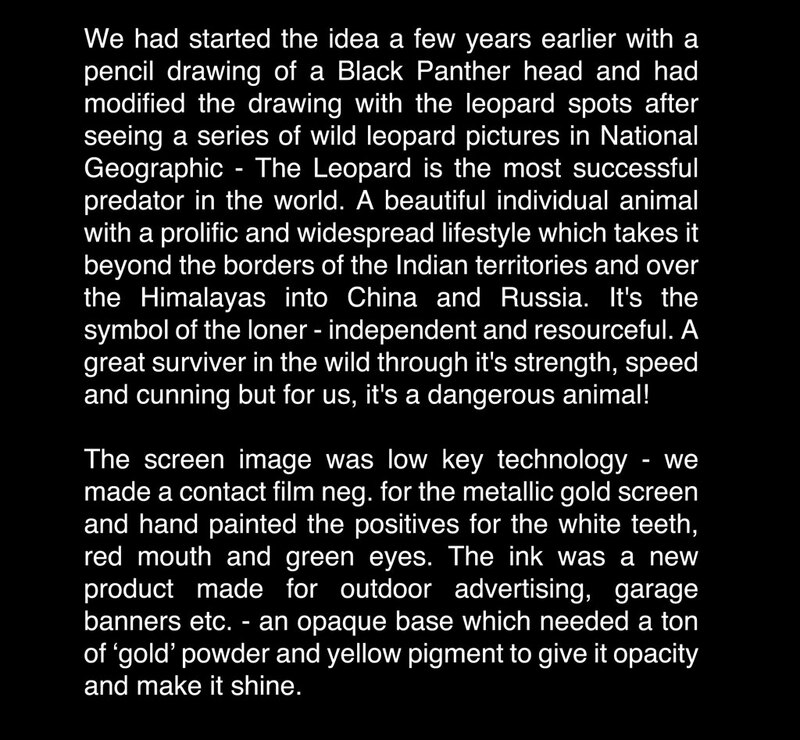 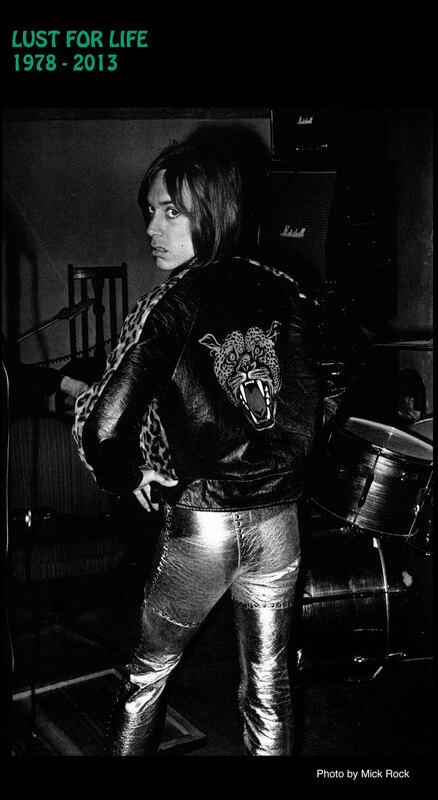 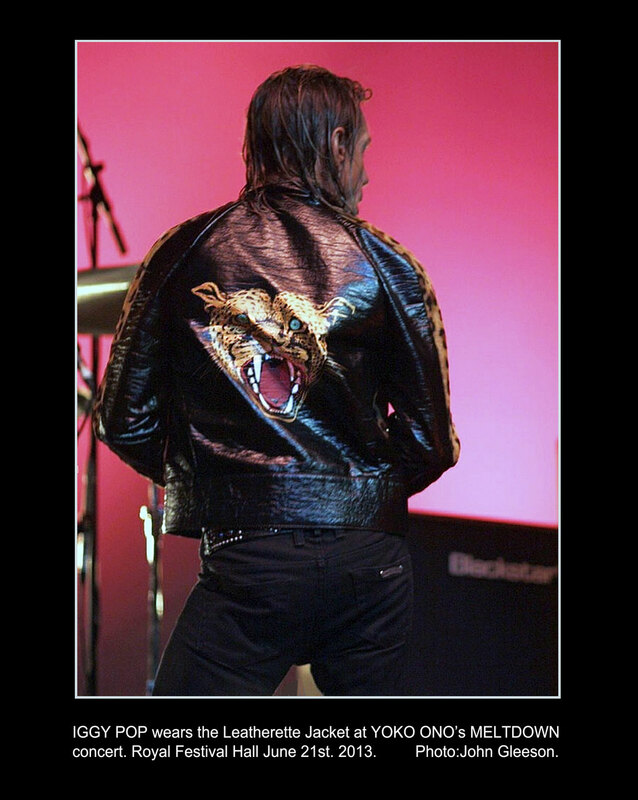 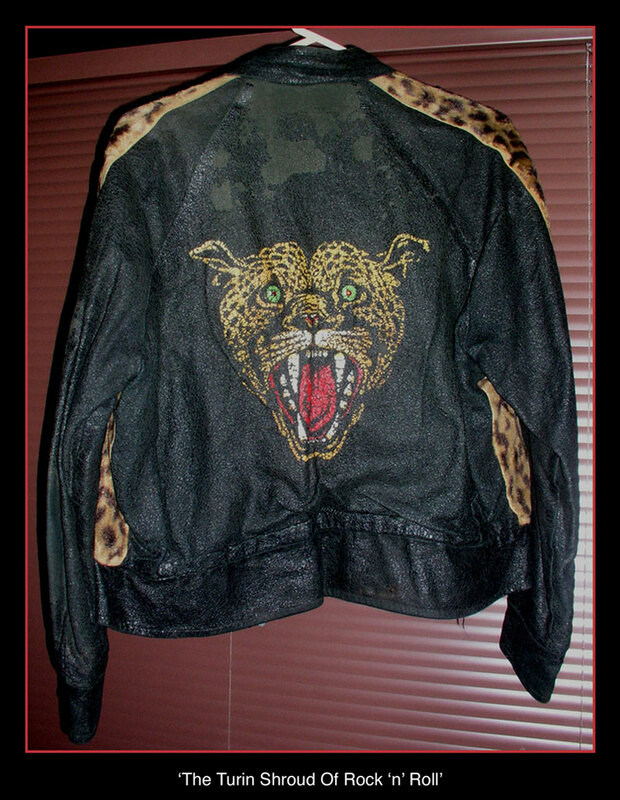 This is more like a LEWIS LEATHERS classic jacket and comes with a custom Leopardskin box and certificate of origin. 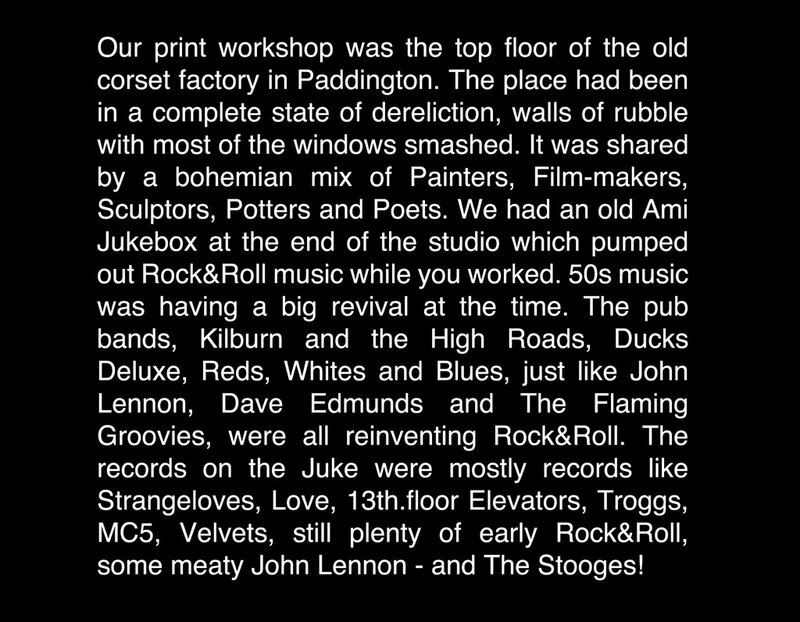 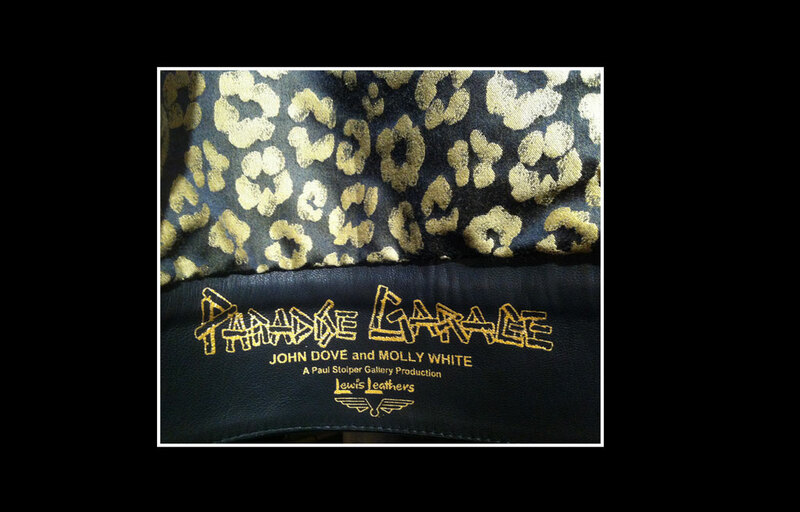 The printed label is dedicated to PARADISE GARAGE, the iconic London boutique at 430 KINGS ROAD that became Dove and White's creative power-house in 1971.